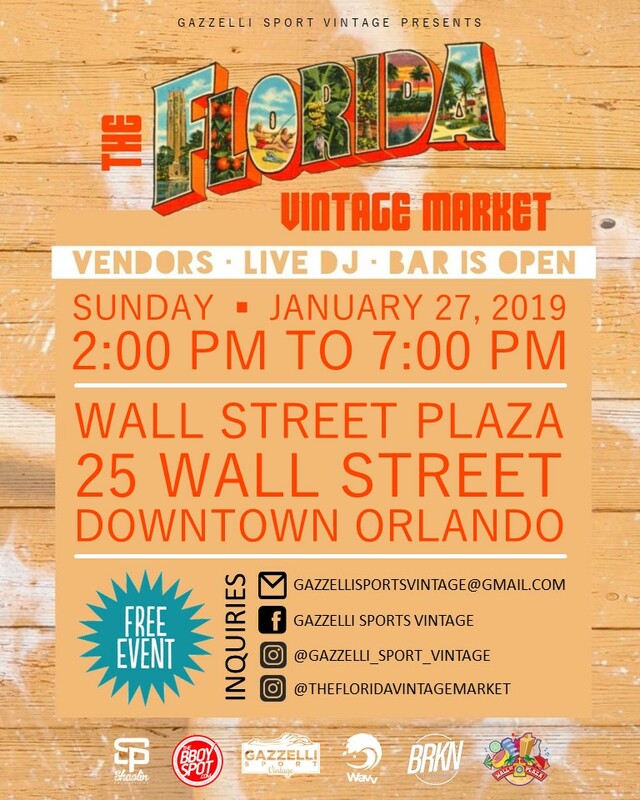 The Florida Vintage Market is a unique shopping experience at Wall St. Plaza featuring local and small businesses! #TFVM is a unique shopping experience in the heart of Downtown Orlando! Located on Court St. where you will enjoy a variety of vendors curating some of the best in vintage pieces and handmade goods! In conjunction with BRKN International: there will be a live DJ and Dance Battles! Admission is free.